In the Greater Houston area, 79% of Houston Independent School District children are economically disadvantaged, and only 53% have had any exposure to music in school. Regular access to the arts improves students' concentration and motivation and contributes to higher academic achievement. But providing access to cultural programs, arts training and equipment is a challenge for many schools. Serve at least 5,000 underserved public school students at no cost to participants. Identify schools with little or no instruction in the creative arts and propose our programs to at least 90% of schools designated Title I. Offer at least 40 free in-school workshops to elementary and middle schools from the Greater Houston area. Introduce students to music theory combined with interdisciplinary studies of world cultures, foreign language, math and art. 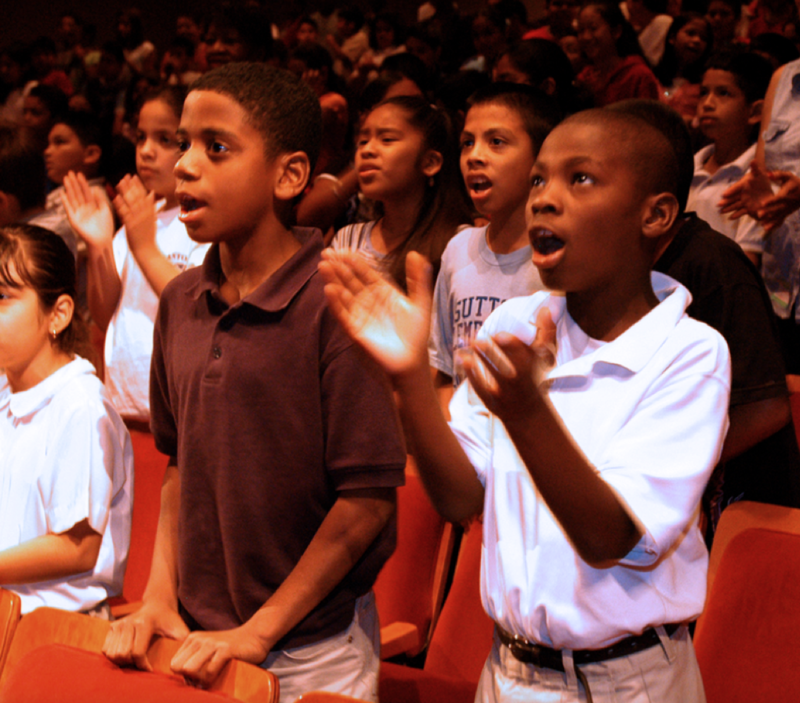 For many of the children we serve, their experience with Musiqa marks their first exposure to a professional musical performance in a concert hall setting. Through music, we intend to expand and cultivate students' interest in the arts, stimulate their creative and analytical thinking, and equip them with valuable knowledge and skills. Musiqa provides such inspiring and imaginative performances. I am always curious to see what their composers will come up with next.